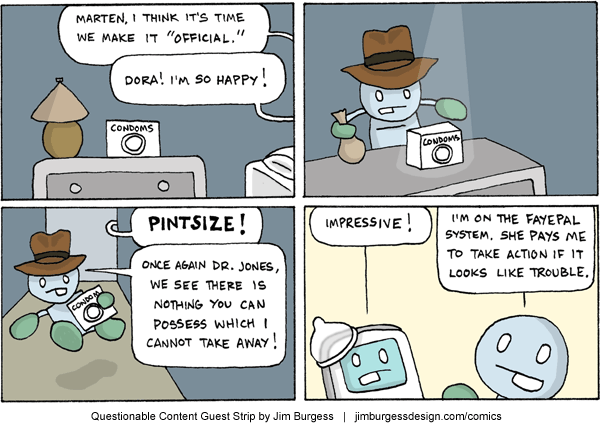 Today's comic is brought to you by Jim Burgess! Able & Baker is seriously fun readin'. That's all for tonight. I am working feverishly on SECRET THINGS and need to go do more of 'em now. See you tomorrow.